MDI screens are renowned worldwide for their quality in craftsmanship. They specialize in manufacturing PVC projection screen for all applications. From matte white to 3D screens, from home to large format applications. Through years of experience they have refined the welding process which results in a seamless surface. The STRONG MDI STEREOVIEW Silver Screen is considered the optimal 3D surface. 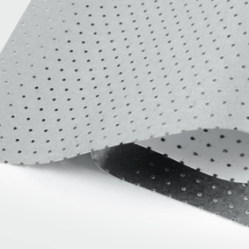 It offers the best signal-to-noise ratio in the industry and the most resistant coating on the market. With three gain options available, 2.2 , 2.5 and 2.9 GAIN, the surface is adaptable to any project requirements. Also excellent for 2D applications. The STEREOVIEW Silver Screen is considered the optimal 3D surface. 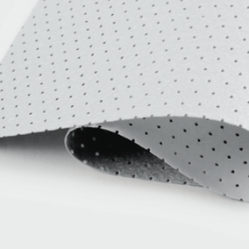 It offers the best signal-to-noise ratio in the industry and the most resistant coating on the market. With three gain options available the surface is adaptable to any project requirements. Also excellent for 2D applications. The northview 1. 0, 1. 5, 1. 8 and 2. 2 gain white matte screen features a smooth rectance white surface designed for maximum light distribution. This versatile screen option renders crisp uniform images and excellent color in all parts of the spectrum. Looking for “Strong MDI Cinema Screens”?